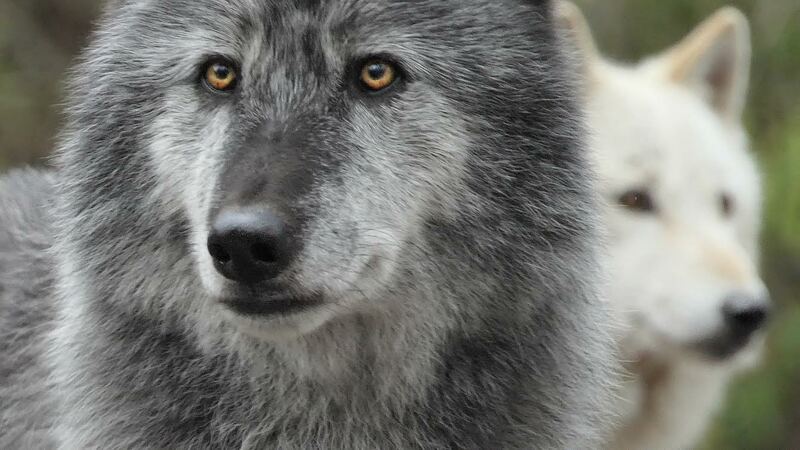 Wolves suffer from misguided policies that drive them towards extinction. To combat these attacks, the Wolf Conservation Center (WCC) works to educate the public and mobilize support for scientifically sound policies. As a policy intern, Nadya Hall (Master of Arts in Environmental Policy ‘18) worked with the WCC to develop and implement a series of workshops, exploring how scientists, lawmakers, and citizen activists shape the future of wildlife policy. How did you find out about this opportunity to work with the Wolf Conservation Center? Nadya: I found out about the Wolf Conservation Center a few years ago while searching for volunteer opportunities. Soon after volunteering, however, I enrolled in Pace’s Masters in Environmental Policy program and began an internship so I did not have time to continue. 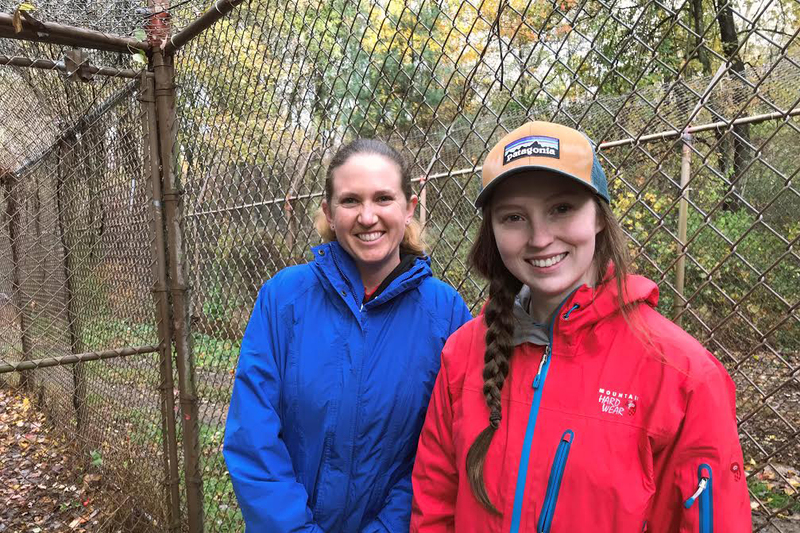 When it came time to do an externship for my graduate program, I knew I wanted to work with the Wolf Conservation Center to further their mission and learn from the staff’s wealth of experience. Professor Michelle Land and I reached out last summer and spoke with Maggie Howell, the executive director, to confirm my position there as a policy intern. What is the mission of the WCC and what about that mission interested you? Nadya: The stated mission of the organization is, “to promote wolf conservation by teaching about wolves, their relationship to the environment, and the human role in protecting their future.” They accomplish this, “through onsite and offsite education programs emphasizing wolf biology, the ecological benefits of wolves and other large predators, and the current status of wolf recovery in the United States.” They also participate in the Species Survival Plan and Recovery Plan for two critically endangered species of wolf, the red wolf and Mexican gray wolf. Ecosystem health is a complex issue. The anthropogenic stressors that affect the environment are nearly as complex, compounded by regional social and economic priorities that are at odds with conservation efforts. Carnivores, particularly wolves, are villainized for their natural role, and suffer from misguided or malicious policies that drive them towards extinction. The Wolf Conservation Center strives to educate the public on these issues while working directly with the endangered species to promote recovery and understanding. Why did you want to work for the WCC? Nadya: I wanted to experience the day to day activities of a nonprofit organization that emphasized both hands-on conservation as well as conservation education for such a politically controversial and ecologically significant species. Working with the Wolf Conservation Center allowed me to see how a conservation issue is handled on many fronts, while indulging my desire to work with, and learn from, the wolves directly. What is your specific role at the WCC? Nadya: I worked with the Wolf Conservation Center to develop and implement a series of four policy workshops for the general public on a range of topics from individual action to social media pseudoscience (1. Understanding Policy, 2. Individual Action, 3. Science, Social Media, and Species Survival Plans, 4. Community Action). In addition to the education programs, the staff was generous enough to include me on everything from fundraising strategy to wolf health checks. What have you done at the WCC that has been particularly interesting or rewarding to you? Nadya: Each day was truly rewarding, and my morning alarm became a source of excitement. That being said, there is no greater motivator than looking into the eyes of the animal you are working to protect. My experiences with the wolves will stay with me forever. How has this experience influenced your future career plans? 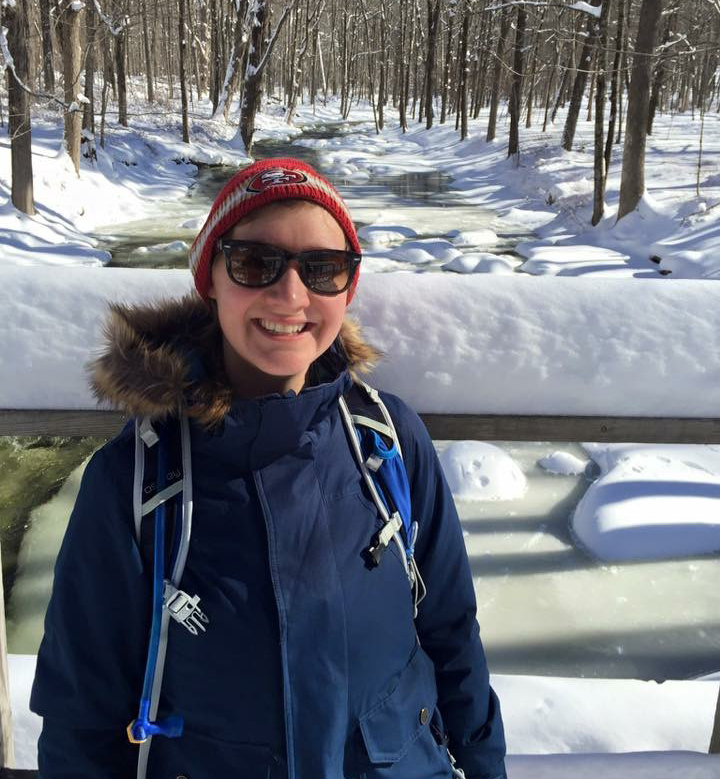 Nadya: The externship has solidified my desire to work for an organization that values conservation education and scientific thinking. I have also enjoyed a range of experiences in both the field and the office, and I’d like to maintain that dual work environment in the future. What are your plans with the WCC after your externship is over? Nadya: I am still in the midst of the policy workshops, with the fourth and final program happening on February 10th. Once the workshops have ended, I am sure I will return to the Wolf Conservation Center as a volunteer. Samantha Miller is the Program Manager for the Dyson College Institute for Sustainability and the Environment. A blog for and about the Department of Environmental Studies and Science at Pace University. Contributors to this blog include students, faculty and staff at Pace University.